Prezzzzure! Ok quick background story. 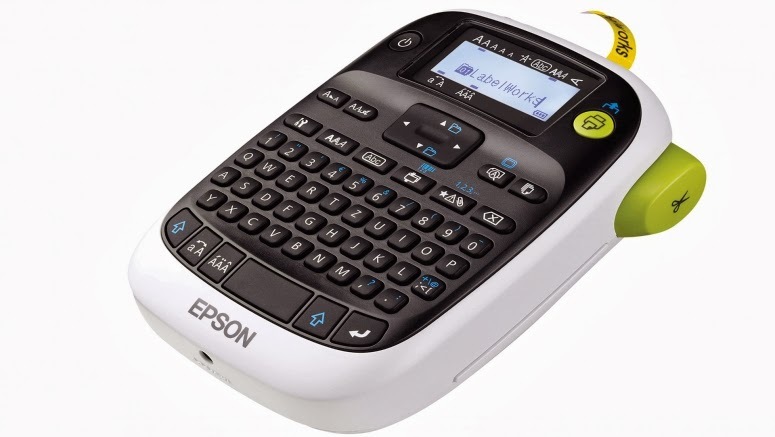 EPSON recently launched a great array of handy dandy portable machines for labeling and photo printing - perfect for moms, crafty folks, and just about any person obsessed with organizing. 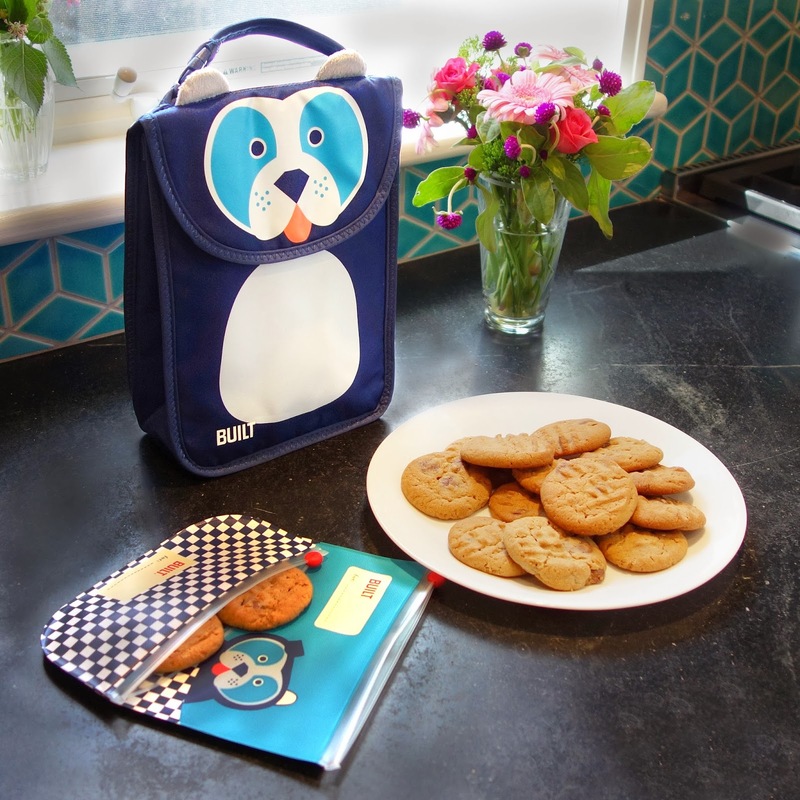 First is a line of portable labeling machines called EPSON LabelWorks, which are just so perfect for labeling anything and everything that needs to be sorted out in life - be it household files, kitchen drawers, sporting equipment, first aid kits, crafting supplies, and such. Another is the PictureMate PM245, a mobile printing station that allows you to print customized photo prints right in the comfort of your own home. 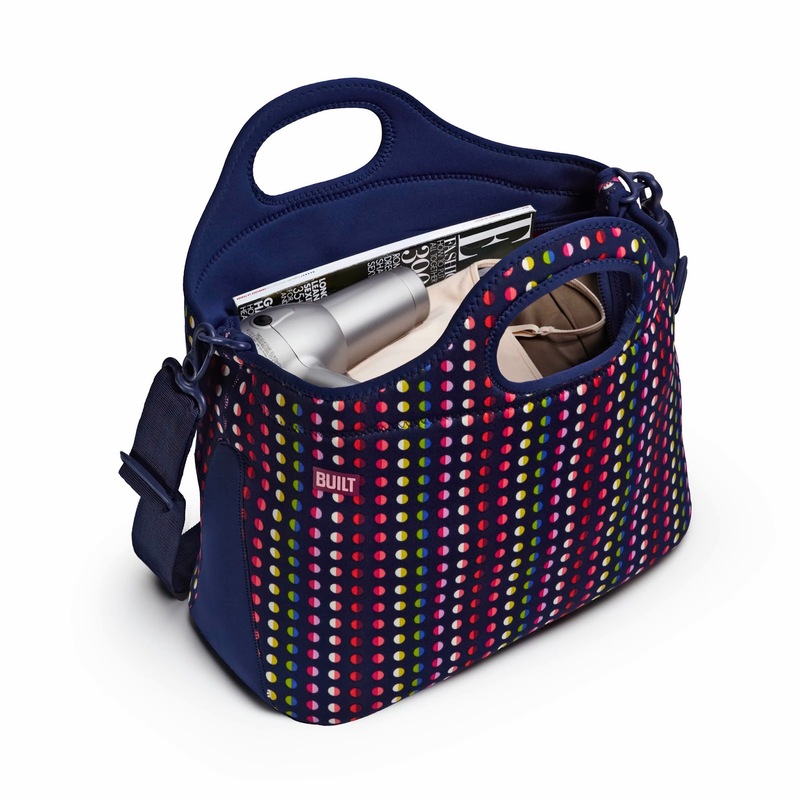 Or wherever you want to take it along. It's so fantastic, you don't need to go to Kodak to have photos printed out. 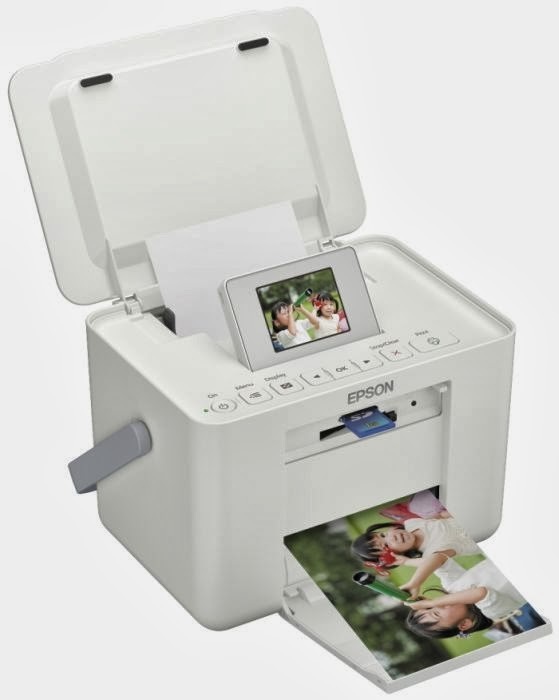 It can print out your favorite photos, even ID, passport, and visa photos without a PC, straight from your camera even. Of course, I want to be able to host an EPSON giveaway here for you because the prizes are amazing! During EPSON's launch, all the guests got to take home the EPSON LW-300 LabelWorks printer and I set about having the time of my life tinkering with it. Because the LW-300 can print on ribbon too, I played around with making a personalized gift ribbon for Berry, which she can use when she gives gifts to her teachers and friends. While looking for ideas on designs for personalized ribbons, I realized that we can even do awareness ribbons with the LW-300. For this Breast Cancer Awareness Ribbon, I printed out Strength, Courage, Hope. Because EPSON ribbon cartridges come in an array of colors, we can also use it to make special occasion ribbons for wrapping gifts with - from gold on red Valentine Ribbons, to black on gold Christmas Ribbons, to gold on white Wedding Ribbons. The deal clincher that sets apart EPSON LabelWorks printers from other label printers in the market today is their iron-on sticker label for clothes! Just change the label cartridge with this Iron On cartridge, and you're good to go. I made a sticker label for Xavi's blanket, just to practice. I just ironed it on, et voila! Even if Xavi accidentally leaves this blanket somewhere, or lends it to someone, there's no denying it's his! The label is washing machine and dry clean safe. Best of all, LabelWorks printers can be used while plugged in to an electric outlet, or cord free with 6AAA batteries. It's a must-have, trust me. I have always wanted a label printer, but have been putting off the purchase. Thankfully, I got this and I am just so lucky I ended up with the most versatile amongst all the label printers I have researched on so far. And that is why I would love one of you to win this! Or this. The Epson LW-400 which works like the LW-300, but has more extra features than the basic model. Or this. The EPSON PictureMate PM 245 which uses smudge, scratch, water and fade-resistant Epson Claria™ Photographic inks, wherein the vibrancy of photos can last up to 200 years* under test conditions. *Visit www.wihelm-research.com for more information. See how nice our photo turned out here? The EPSON LabelWorks line and the PictureMate PM245 + accessories are available at select retailers in SM Megamall Cyberzone and online at www.printers2go.ph. “I WANT PICTUREMATE AND LABELWORKS + the reason why i.e. “I WANT PICTUREMATE AND LABELWORKS so that I can creatively feature my baby’s milestones on the scrapbook I am making for her. When I do get to become one of 3 bloggers with the most number of comments in an EPSON blogpost, I will be raffling off either a PictureMate PM245, LabelWorks LW-400 or a LabelWorks LW-300. Which only means, 1 of you dear readers will bring home either one of these three! Game na? Game na! Please leave your full name and email address in your comment please. No Anonymous commenters so I would know how to get in touch with you should you win. Multiple comments from the same reader will only be counted as one. Comments are accepted until 11:59 pm of March 21, 2014. Contest is open to residents of the Philippines only. Winners will claim their prize at the EPSON office in Ortigas. For winners who reside outside Metro Manila, EPSON will ship the prize via courier. I first heard of Polish makeup brand INGLOT many years ago from my SIL Lorraine, who is always first to know about the hottest cult beauty brands and products. She described INGLOT as having the same quality as MAC, same great pigmentation, but priced much cheaper. I remember being overwhelmed with the choices, in a good way of course! True enough, prices were reasonable and the packaging and quality was astounding. INGLOT has a great story behind it. 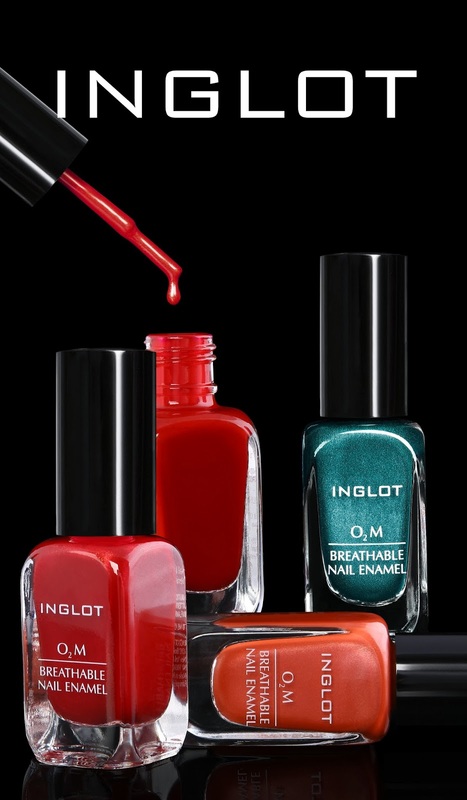 INGLOT Cosmetics was established over 30 years ago by Wojtek Inglot, a young chemist who dreamt of creating a unique and revolutionary cosmetics line that is both high in quality but reasonably priced. Paraben-free and not tested on animals, the materials that go into INGLOT cosmetics come from only the most reputable suppliers from Japan, USA, France, Germany, UK and Italy. INGLOT cosmetics are mostly manufactured in Poland, under the strictest EU manufacturing guidelines, to ensure quality. 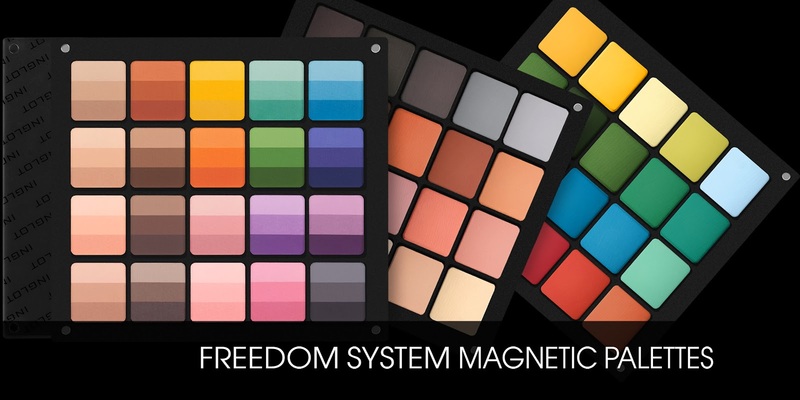 To differentiate INGLOT from the other makeup brands, Wojtek Inglot pioneered INGLOT’s unique “Freedom System” which allows customers to experiment with countless shades and combinations of face powders, blushes, eye shadows and lipsticks to create their unique and personalized palette. So you can customize your palette to only have the shades that you love. 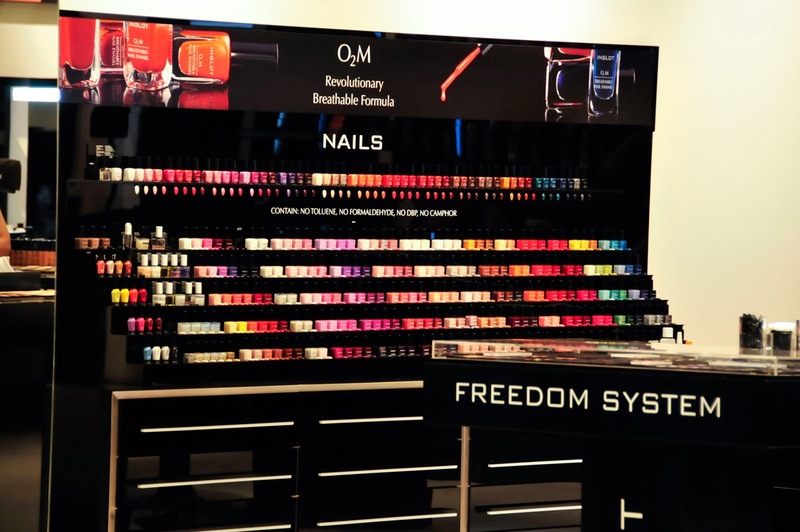 Apart from their popular gel eyeliner, cream foundation and duraline solvent, one of INGLOT’s bestsellers is their Breathable Nail Enamel line is also revolutionary in that this was designed for better nail care by allowing entry of oxygen and water vapor. 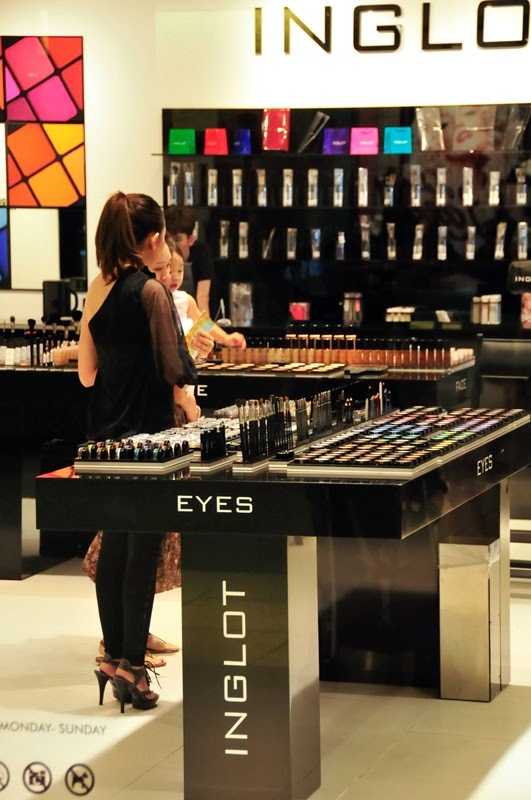 Today, INGLOT has the most extensive color ranges in cosmetic collections across the world. 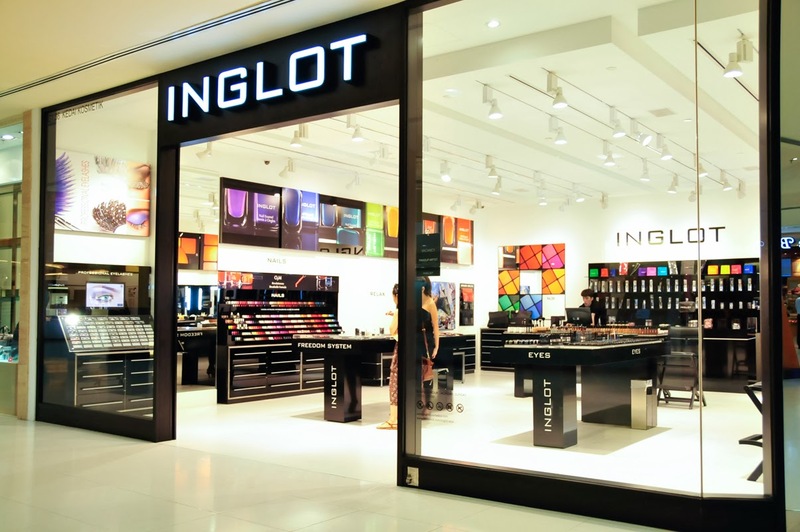 INGLOT is currently in over 430 stores from Europe to USA, South America, Africa, Middle East, Australia and South East Asia. A recent outpost is of course, right here in the Philippines, at the Ground Floor of Glorietta 5! It opened last November with a big launch, and while I sadly missed the event, Martha Sta. Barbara of The Beauty Junkee, who hosted the event along with Pauline Lim, Hazel Lim, Michelle Lim and Stephanie Borbe, who brought in INGLOT to the Philippines, graciously sent me my own Freedom System palette to play with, through my good friend Jackie Go. Whether you've been waiting for INGLOT to hit our shores, or this is the first time you are hearing this and are now curious to see what INGLOT is all about, it's time to check out Glorietta 5 and immerse yourself in a world of color that will totally just revolve around you and what works for you! 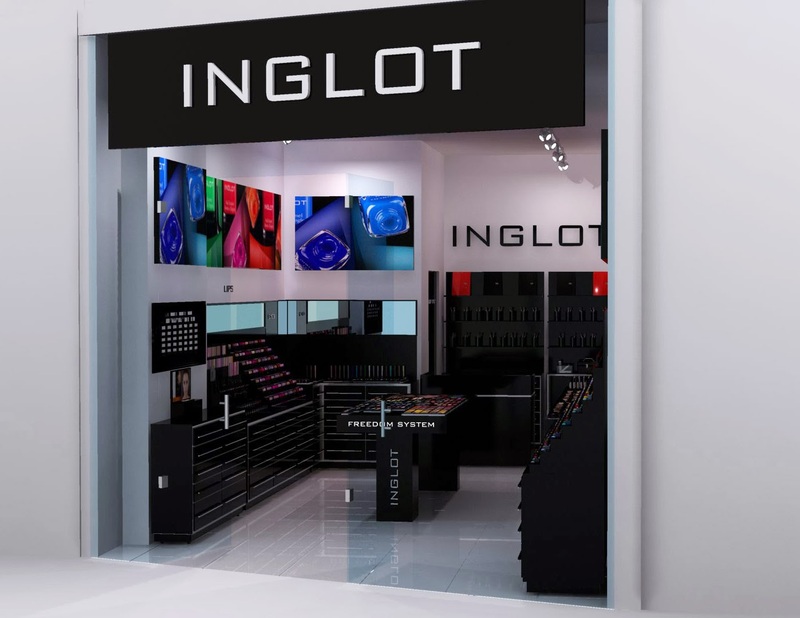 For more on INGLOT here in the Philippines, visit INGLOT Cosmetics’ official website, www.inglotcosmetics.com, Like INGLOT on Facebook, and Follow INGLOT on Twitter/Instagram account: @inglotph. Dada sits on the board of the company that owns the Honda Kalookan and Honda Greenhills dealerships. Last week, straight from his board meeting, he excitedly told us that we were going on a road trip so he can test drive the Honda Pilot. The Pilot is Honda's largest SUV, with three-row seating. Less visible in our city streets than their popular CR-V, I am now of the opinion that if faced with the option, I want a Pilot, seriously. Here's why. 1. As Ms. Berry White presents, it's a nice big, hunk of a vehicle. About as big as a Range Rover but easier to get into and out of. 2. The dashboard is streamlined and sporty. None of that awful wood paneling. A great safety feature is the rear back-up camera with backing sensors, so you can watch what's behind you on the dashboard as you back-out. It has plenty of provisions for charging mobile phones and USB connectivity. 3. It's spacious leather seating is perfect for long drives, as it can comfortably fit 8, with space for bags on the floor, and storage compartments for magazines, phones, snacks, baby wipes, and all sorts of travel essentials. It's easy to get into the 3rd row, just lift the lever and pull the seat forward. I got to sit with Xavi and Ate Weng at the rear, just to try it out and it was actually quite fun there at the back. The 3rd row seats 3 adults and is roomy & comfy, which is not common amongst most SUVs of this class. As well as cup holders on the sides. I especially appreciate that there's plenty of space to keep your sunnies, the cellphone for Waze-ing, and all sorts of road trip sundry above the glove compartment. 5. It has a moon roof and a sun roof. Quite useful when campaigning for elections, so you can wave to the crowd as you drive by. I don't have modelicious long legs, but I am pretty sure Miranda Kerr wouldn't have to worry about cramping her legs in a Pilot. 6. Really, there's lots of leg room all over, even on the third row seats! The Pilot is actually known for their ample legroom, which is great if you are a family of tall people, or if you simply enjoy going on long drives. It guarantees a comfortable ride, even if you've got small kids shouting "Are we there yet?" at the back seat. Actually, come to think of it, I never heard a peep or squeak from Berry the entire time we were riding the Pilot. She was so settled in that she never even bothered to ask. 7. 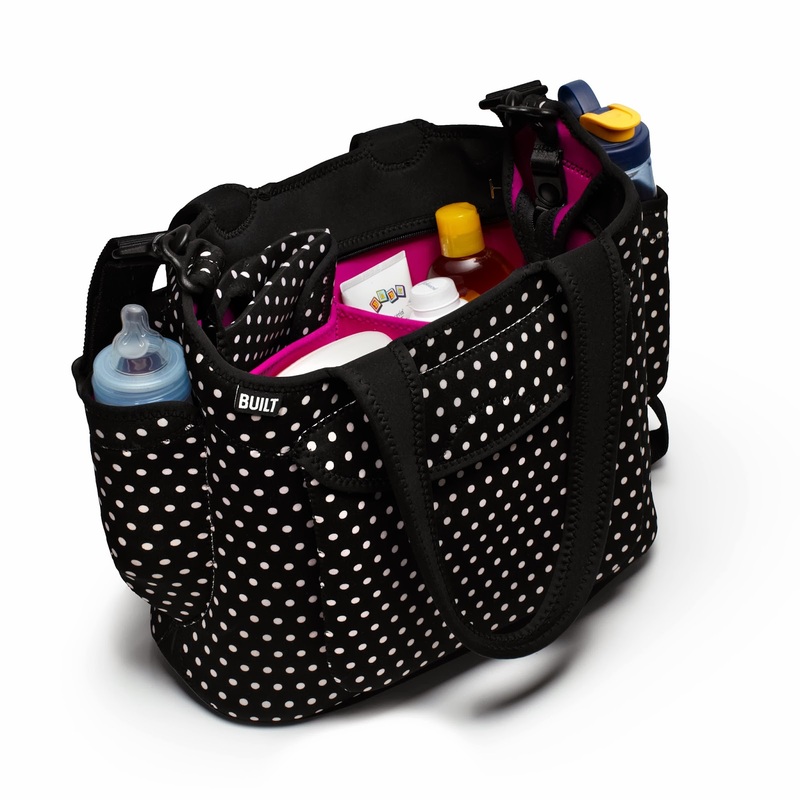 Of course, there's ample cargo space in the back for coolers, overnight duffels, golf bags and such too. The seats fold flat if you need to load it with small furniture, a 4x4 painting, or suitcases. 8. When it comes to performance on the road, it's a smooth operator. With a 3.5L i-VTEC V6, 24 valve engine, it's big on power. Dada says it is easy to maneuver and very responsive. We had a smooth, stable, comfortable ride. Not matagtag at all! 9. Most importantly, it is big on safety. The Pilot comes with tethers and anchors for car seats, driver and passenger airbags and knee bolsters, side airbags with Occupant Position Detection System (OPDS) and side curtain airbags up to the third row. 10. I also read that with an all wheel drive system, the Pilot can wade through 19 inches of water. That's 1.5 feet of water, so it's perfect for flood-prone Manila. Isulong na sa baha! I told Dada that when it's time to buy a bigger vehicle for when the kids are bigger, I wouldn't even consider buying a van anymore. We'd be better off with a Pilot that fits the entire family. Now if only directors get free Honda Pilots. Hahaha. To learn more about the all-new Honda Pilot, contact Tina Marcelino of Honda Greenhills at 9953216-18, +639175335084 or the Sales Manager, Jie Salcedo at +639175268326. Did you see them? I spy two, but I think I got like 10 during Berry's baby shower, and more as family and friends sent gifts while waiting for her arrival. I am not kidding when I tell you how popular sleep sacks are in baby showers in the US these days, or even 5 years back, when I was still pregnant with Beriray. Maybe because it can get really cold during the winter, and you just want to make sure your baby doesn't kick off his/her blanket at night. But most especially because people in the US are very much conscious and aware of SIDS. 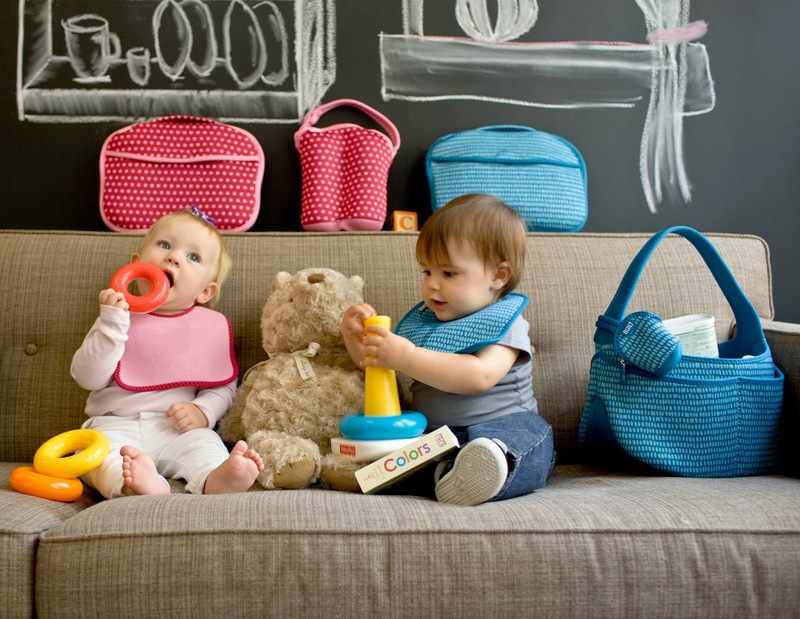 Both Berry & Xavi used Halo Sleep Sacks as babies, actually. It was SIDS awareness that convinced a mom, Ives Lim-Esteban, to bring in Halo Sleepsacks here in the Philippines. She has taken it upon herself to advocate for safe sleep education and open every parent's eyes about SIDS. According to just about every nurse, baby book or child care expert, one of the many ways we can minimize risk from suffocation, sleep accidents and SIDS is to remove all soft bedding such as loose blankets, bumpers, pillows and positioners as well as toys from our baby's sleep area. The American Academy of Pediatrics in fact suggests using a wearable blanket instead of loose blankets. And that's what Halo SleepSacks are all about. You can slip baby in and zip her up, sure that she'll stay warm and cozy without fear of a blanket accidentally covering her face. 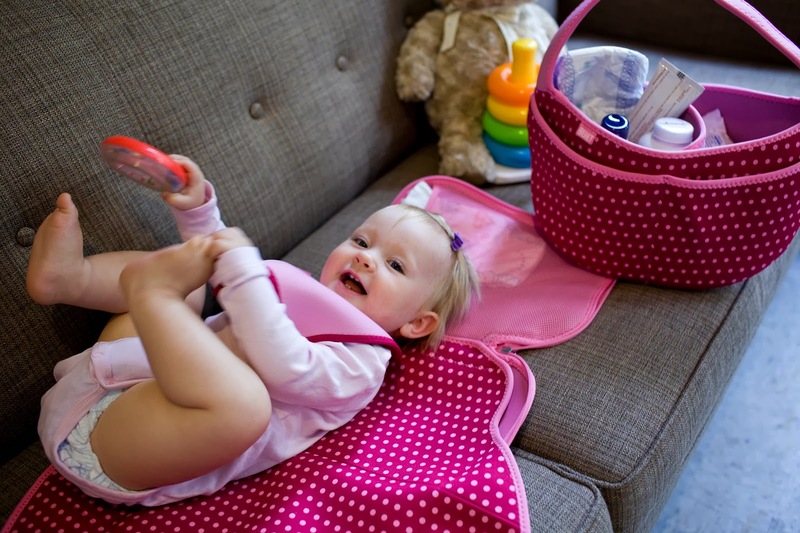 Halo SleepSack has different styles as our kids grow up in size, from swaddles for newborns to wearable blankets for babies, to a version with footsies for big kids. They come in cotton or fleece and in solid colors as well as prints. Halo SleepSacks retail for about Php1,550 but they're built to last a long time. Xavi got to use many of Berry's Halo SleepSacks, save for the pink ones. 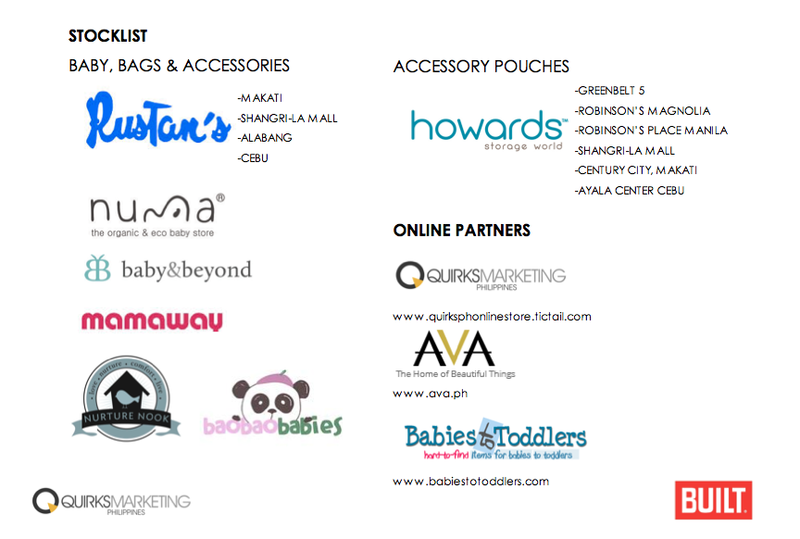 In the Philippines, HALO SleepSacks are available at www.halophilippines.com, Rustan’s, Babyland, Fishermall, Numa, and online at Lazada, AVA, and Cudsly. For more on Halo SleepSacks and safe sleep education, visit www.facebook.com/halophilippines and follow @halophilippines on Instagram. I have always associated Built NY with neoprene laptop sleeves and such, so it was a pleasant surprise when Oliver of Quirks Marketing, the official distributor of Built NY here in the Philippines, invited us over to Chef Jessie in Rockwell Club to see for ourselves what Built NY is all about now. 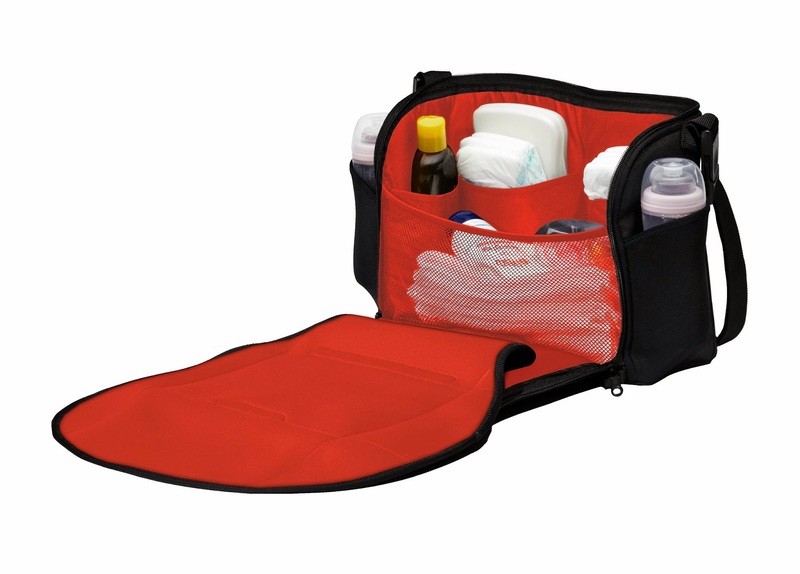 and convertible diaper bags (Php5,950) that are a veritable diaper changing station in itself. They've really thought of everything parents and their kids would need. 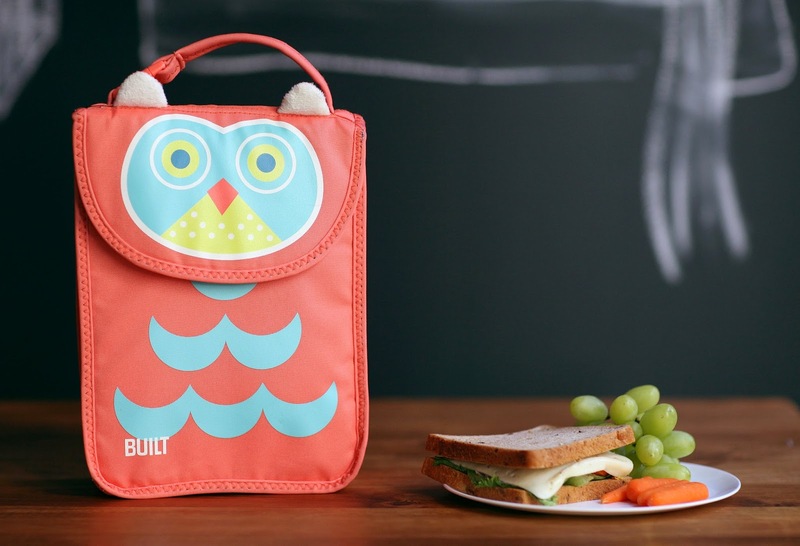 Pre-school kids will love their animal themed lunch boxes (Php995) made with food-safe materials. 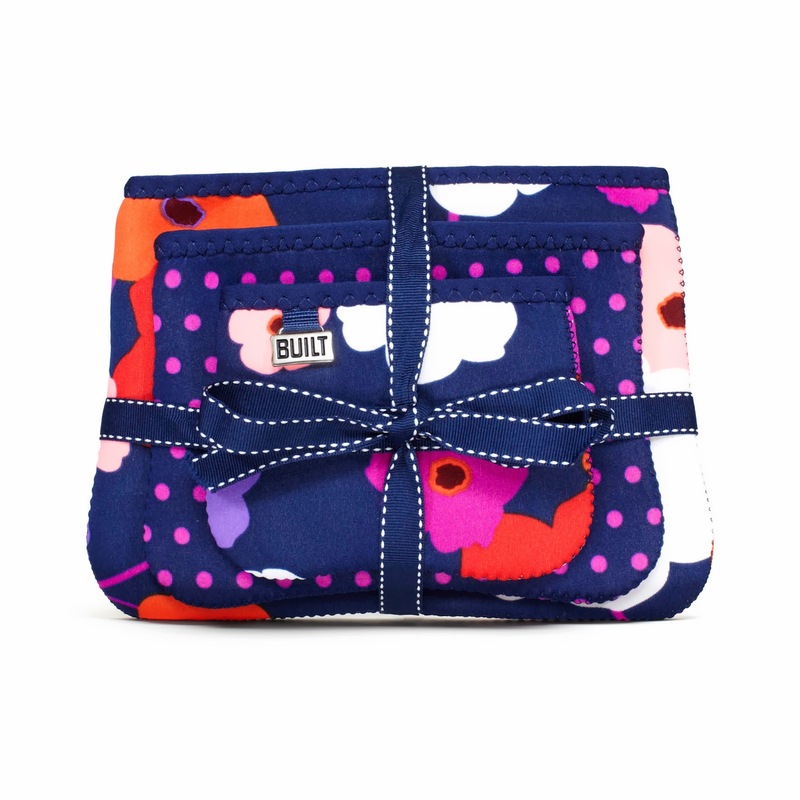 It also insulates their baon for up to 4 hours. 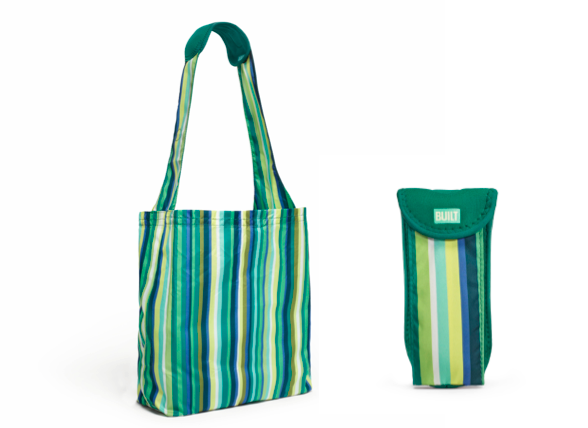 and selection of totes (from Php1,645) and duffel bags (Php4,195) perfect for summer trips to the beach, or long drives out of the city. Because they are made from neoprene, or wetsuit material, they are pretty much lightweight, folds neatly so they doesn't take up too much space, and are easy to clean. Just throw it into the washing machine, it's that easy. 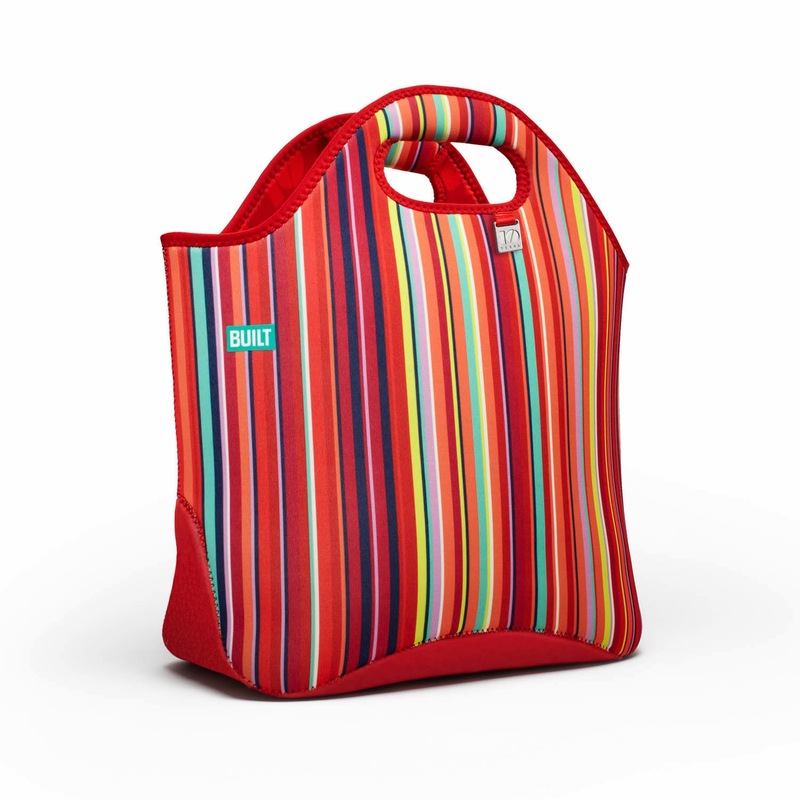 I find this collapsible reusable tote (Php545) particularly handy. 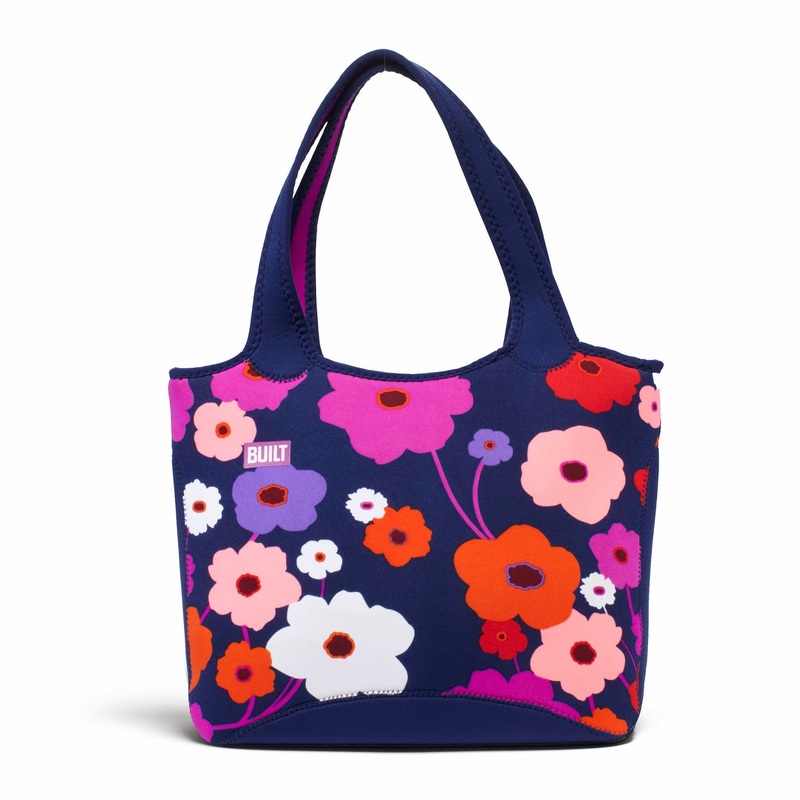 Or rather, easy on the shoulders.The whole bag can be folded right into the soft, neoprene-padded support strap and stuffed into your main purse to be pulled out when you've got your hands full from overzealous shopping. Yosi Samra Megamall + Spring 2014 + A Summer Giveaway! Have you been to that new wing of Megamall called Megamall Fashion Hall aka Building D? That big building right on EDSA where the H&M Philippines flagship store is going to be? Well, well, well it is worth a visit, also because there's a Yosi Samra store on the 2nd floor that just opened there recently. I noticed too that the new pairs have subtle branding now, with a tiny YS logo right at the back of the heel counter. The snakeskin with black cap toe ballet flats are my fave from this current collection. I think it's a must have. And speaking of snakeskin, how fantastic are these studded snake skin slippers? Also by Yosi Samra. It's just so gorgeous in real life. If you look closely, it has gold studs too. But it doesn't deter from the total look, as it actually adds more character to this particular pair. Medyo rockstud-ish, but hindi bastos. There's a black version too, that's tone on tone. As well as a striking red hot chili pepper pair that I can imagine will perk up any droll day. So hard to decide no? The snakeskin is neutral but not quite, while the red is just so statement-y. Both I like! And now, tan dan dan dan. A giveaway! A giveaway! A giveaway! I want to know where you would wear these new YOSI SAMRA FLIP FLOPS! 2 of you dear readers get a chance to *win a pair of your choice from Yosi Samra. All you have to do is join using the Rafflecopter widget below. Leave a comment on this post and tell us where you will wear your Yosi Samra flip flops this summer! Be as descriptive as you can. And with that, join na! Winners will be announced by the first week of April, just in time to wear your new pair of Yosi Samras for summer! *Entries must be about where you would want to wear the new Yosi Samra flip flops. Winners however can choose any pair from the store - it may be from the main collection, the new Spring/Summer collection, flip flops, flats, for you, or for your little one. If you win, you get to take home your pick!